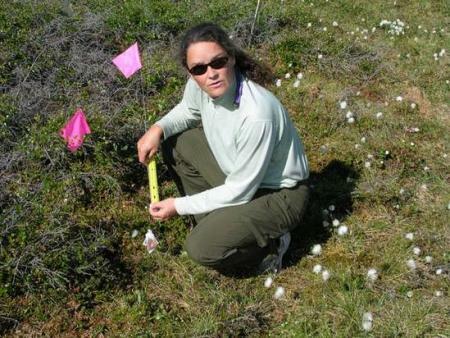 PolarTREC teacher Laurie Carr taking measurements near Toolik Lake, Alaska PolarTREC is a professional development program for educators, which strives to build ongoing, collaborative relationships between educators and polar researchers. The PolarTREC program is designed to match teachers and informal science educators with researchers based on similar scientific interests and outreach goals, facilitate the growth of this relationship, and provide support for the relationship to become independently sustainable. One component of successful relationships is collaboration and understanding of each partner; we strive to have educators and researchers working together as much as possible before, during, and after the polar field experience. 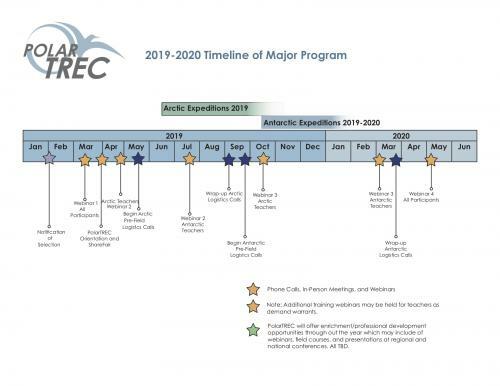 Therefore, educators and researchers selected for PolarTREC are expected to participate in a number of specific program requirements throughout the experience. The 2019-2020 Program Requirements for both educators and researchers, outlines the program requirements.The document also includes additional recommendations for a successful research experience. Both the program requirements and recommendations come from best practices for teacher professional development, years of program management experience, and advice from past teachers and researchers on how to make the experience successful. Note: Requirements will be updated for 2019-2020, pending NSF funding. 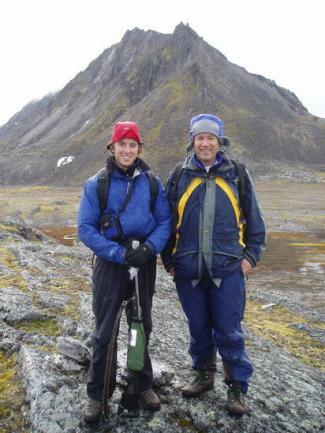 PolarTREC teacher Robert Oddo and student Brooks Motley on Svalbard, Norway ARCUS uses the PolarTREC program requirements in a number of ways, including tracking participation in the program, evaluating the impacts of the program, and collecting data on program participants. Information is used to report to the National Science Foundation, apply for further funding, provide data and information to researchers, publish papers and articles, and much more. Upon successful completion of the program requirements, participants will be recognized through various social media outlets and publication highlights. Teacher portfolios are also recognized by school administrators. There are no formal requirements for educators, scientists, students, and others who wish to participate virtually through the Internet. Learn about the other ways to participate in PolarTREC. If you have any questions or concerns regarding these requirements, please contact the PolarTREC Project Managers at info [at] polartrec.com.